I was so happy with the results of October’s cookbook of the month! Every recipe I made was delightfully delicious! When I choose a CBOM and carefully choose the recipes I will make and feature of course I hope that they will all be a success. However despite my careful and through picking process some recipes don’t turn out as great as I would hope. But I am so happy that all of the recipes from Giada’s Family Dinners turned out delicious! This cookbook, of course, is chalk full of some fine Italian food! From side dishes, to salads and sandwiches, to main entrees and (most importantly) desserts. 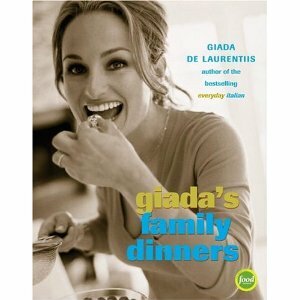 The recipes in Giada’s Family Dinners are easy to read, and although there are some specific ‘Italian’ ingredients needed for most recipes, a lot of these ingredients are readily available at your standard grocery store or are pantry staples. This book has a good number of pictures and has servings listed for each recipe but unfortunately does not have prep and cooking times listed (however I did try to include this information on my blog posts). Another great feature of this cookbook is a measurement conversion page and ingredient substation page. I also liked that there were ‘menus’ listed using recipes from the book (what a handy tool for party planning or to plan a big family dinner). This book is so worth the buy and is a total keeper and complete success! I will defiantly be going back to it to make additional recipes and soon! 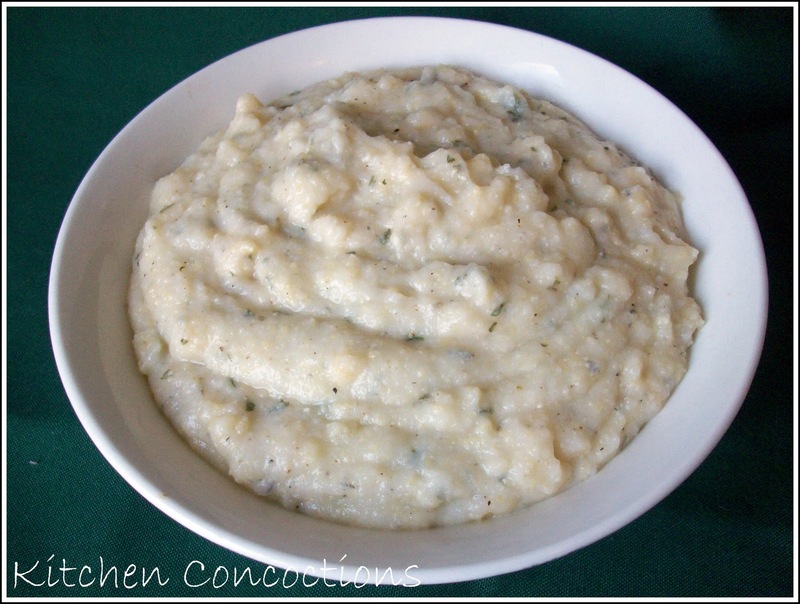 This Herbed Cheese Polenta is a great Italian twist on a classic Southern favorite. 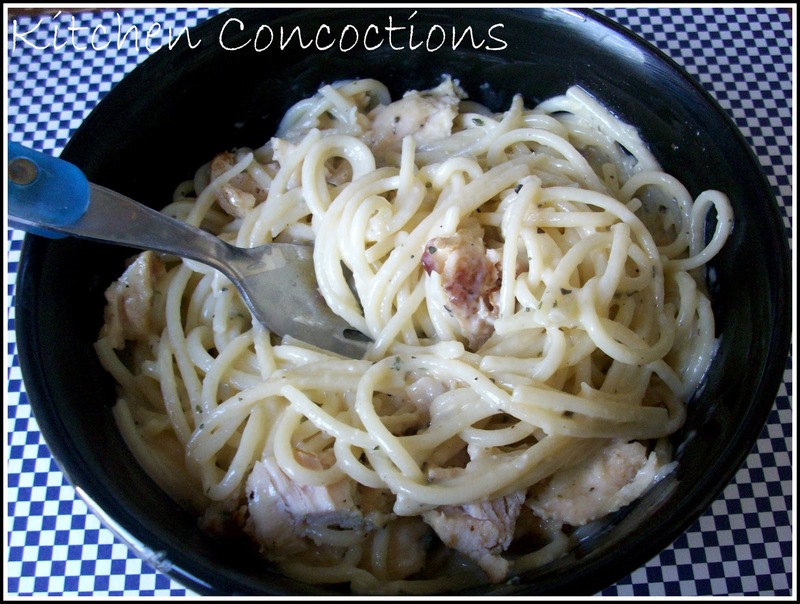 OMG this Chicken Carbonara was sinfully delicious and surprisingly extremely easy! I think Eric told me that he loved me 5 times while eating it and told me that he loved this dish about 10 times during the course of dinner! With that sort of praise this will be made again and again! 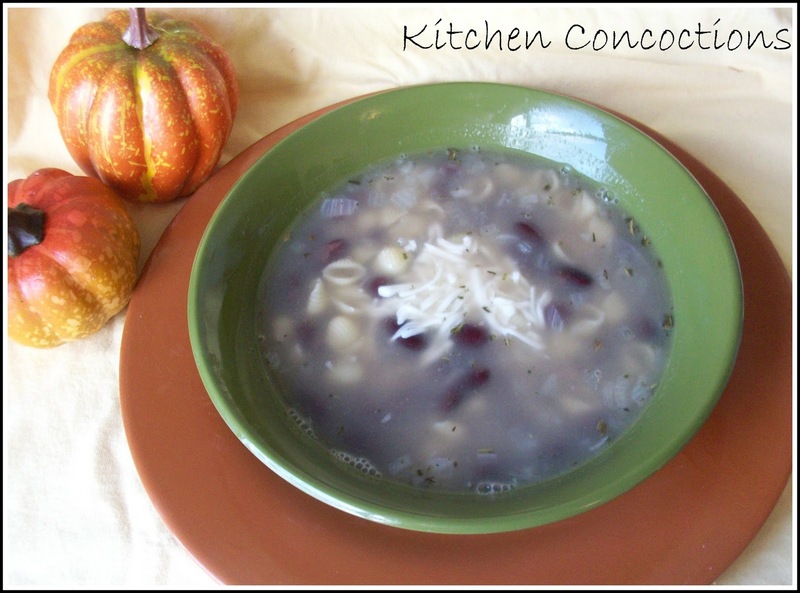 Pasta e Fagioli is a basic Italian soup that is full of flavor and extremely filling despite it’s short and simple list of ingredients. And better yet I made my version vegetarian! 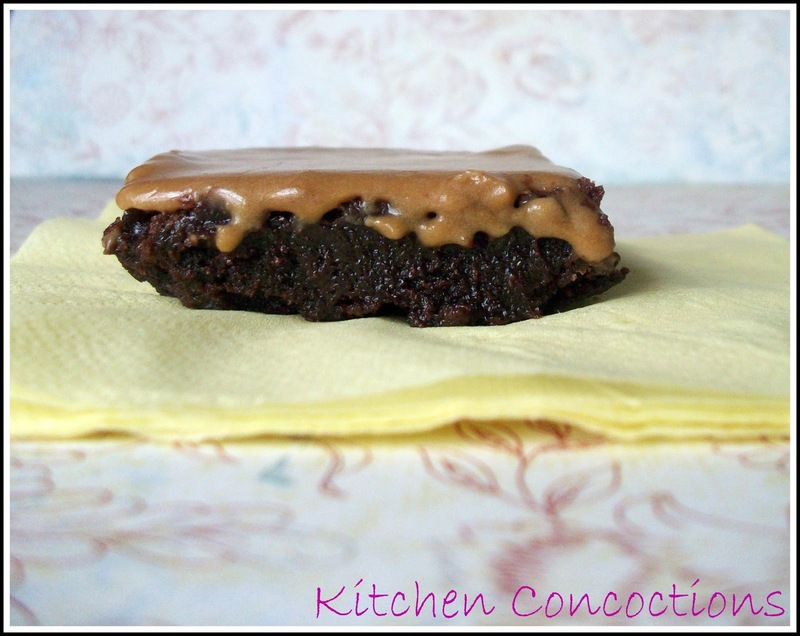 These Espresso Brownies were rich and decadent and got rave reviews from the numerous friends I “pawned” them off on. Believe me you will have BFF’s for LIFE if you share these. 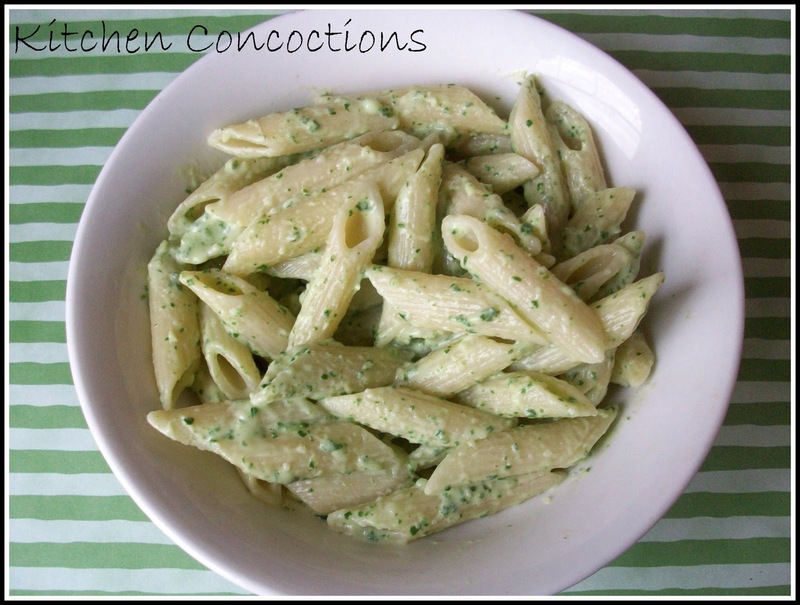 Another great Italian side dish or a fantastic vegetarian main dish is this Penne with Spinach Sauce which is truly versatile. It is extremely easy and will add extra nutrients to your meal with the ‘hidden’ spinach. This surely was a week fill of gluttony sin but totally worth every delicious, mouth watering calorie! « Seriously,How Does She Do It?